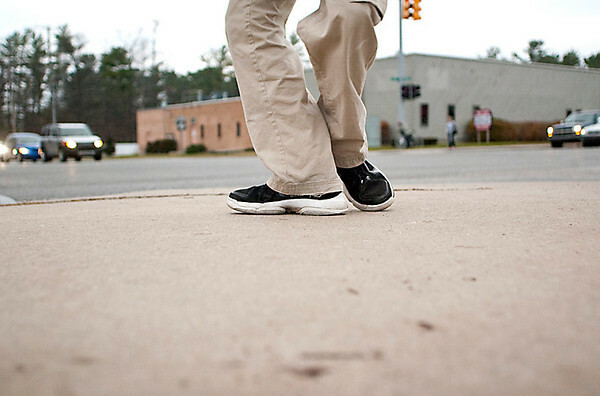 Jacob Shonk dances at the intersection of Front Street and Garfield Avenue on Monday afternoon. Shonk has been dancing to promote Domino's Pizza specials 5 days a week, three hours a day, for about 2 years, but said he's been dancing since he was 5. "The Lord gives us gifts..." he said, "you're supposed to share them." Shonk keeps the music he listens to on his headphones a secret.